Our prestige fleet of distribution presents in a manner you would expect, bringing your fresh product to you with utmost care and attention to detail. Download our registration form and email it to us. 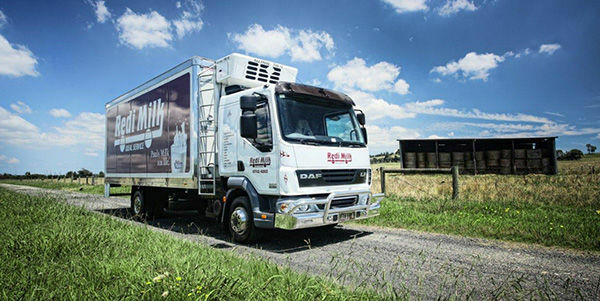 Redi Milk, a family owned business, is a Food and Milk Distribution company delivering throughout Eastern & South Eastern Suburbs, Casey, Cardinia, The Dandenong’s through to Warragul, Gippsland and surrounding areas. We offer the highest level of care and service as we deliver Milk, Dairy, Juice and a wide range of Foodservice product to our customer base. Our prestige fleet of distribution presents in a manner you would expect, bringing your fresh product to you with utmost care and attention to detail. With this care and quality of service, we have grown to become one of the largest Milk & Food distributors in Victoria servicing a wide range of clientele from milk bars, take-aways, bakeries, cafes, restaurants and hotels, to schools, childcare centres, aged care facilities and corporations. Located conveniently in Hallam Victoria, we also provide quality foodservice product to Wholesale trade, and offer product direct to public to those who would like to visit our friendly team.